Set the tone of your party for your guests by sending some fun and clever invites! Your invites can make all the difference in if people want to RSVP, so make sure to create unique invites that will make them want to attend! To make the party a hit with everyone, consider the ages of party-goers. This way you have an appropriate party that’s not too scary for littles, but still fun for older kids. Considering the ages of the guests will help you put decide on the right party decorations and games. This way little kids and big kids will have a blast at your Halloween party! 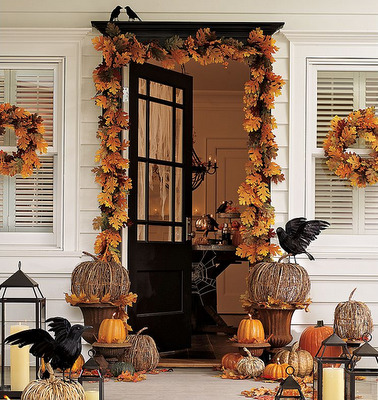 Don’t forget to decorate your home for the party! Whether you make them yourself or buy them, A Halloween party isn’t a party unless it’s decorated for one! If you have a specific theme, decorate accordingly so that the party is even more memorable for your guests. Turn ordinary munchies, food and sweets into monster-inspired treats everyone will love. A simple search online will find everything you need to get inspired and create some monstrous treats you guests will devour. Don’t forget to use seasonal candy favorites like candy corn! Make your party more engaging by having fun games for the kids to play. Games like bobbing for apples, musical chairs, a dance contest and the like will delight your tiny guests!